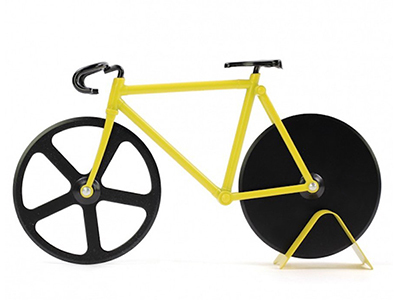 The bicycle pizza cutter blades will cut through any pizza crust easily. Both blades are made out of stainless steel and have non-stick coating. Because of its amazing design, all you have to do is wash it with warm water. 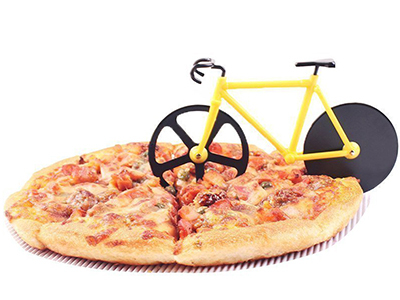 A fun and practical gift which is perfect for pizza lovers, cyclists, birthday parties, pizza parties. Some people even like to purchase our product and put it in their kitchen because they look so good! Our easy and sleek stand helps keep the bike balanced, and makes it easier for you to show it off. The bicycle pizza cutter-A cool, functional, and lightweight bicycle shaped pizza cutter with two stainless steel wheels to cut your pizza.Both front and back wheels are made from stainless steel with a sharp non-stick edge, makes cutting through your pizza easy and fun. Makes for a great gift, or for personal home use. A cool, functional, and lightweight bicycle shaped pizza cutter with two stainless steel wheels to cut your pizza.Both front and back wheels are made from stainless steel with a sharp non-stick edge, makes cutting through your pizza easy and fun. blades will cut through any pizza crust easily. Both blades are made out of stainless steel and have non-stick coating. 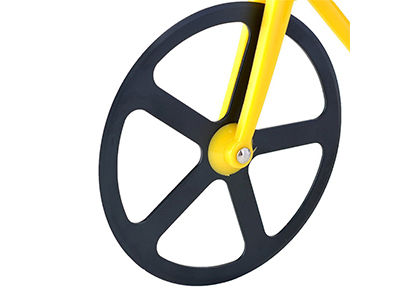 Cut your pizza with style and ease using the bicycle pizza cutters sleek design. 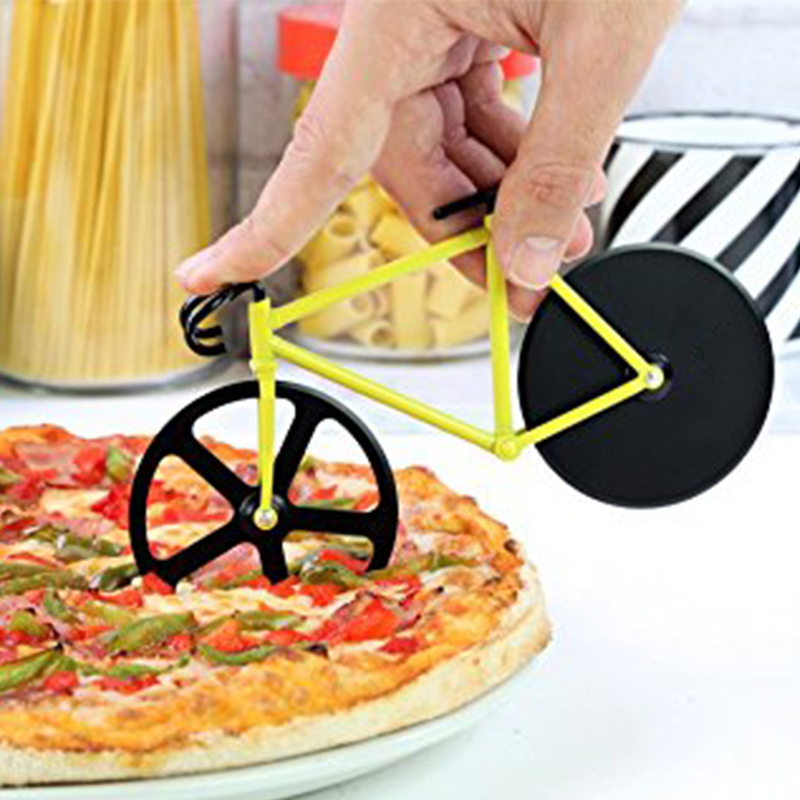 The bicycle pizza cutter is lightweight and easy to use, come with beautiful package.The metal stand can be used for functionality when using the tool, or for display. A fun and practical gift which is perfect for pizza lovers, cyclists or anyone who wants a little fun with their next pizza. Great for kids birthday parties and pizza parties as well. Comes with a stand for easy display and storage.